Liverpool has a rich and varied history – yet so many landmark moments have failed to be captured on film. We have therefore chosen to look at many moments that have been caught on camera, which have gone on to define the city’s culture and history. The Cunard Line’s RMS Lusitania can be seen above embarking on her maiden voyage from Liverpool to New York on 7th September 1907. During Lusitania’s eight year service from Liverpool, RMS Lusitania made a total of 202 crossings, and a crowd of 200,000 people turned out from across the city to watch her depart from the Liverpool landing stage at 9pm. At the time, she was regarded as the world’s largest passenger ship, until the completion of RMS Mauretania, which regularly sailed from Southampton. Tragically, RMS Lusitania was torpedoed by a German U-Boat on 7th May 1915 during WWII, resulting in the loss of 1,198 passengers and crew. The sinking of the Liverpool liner provided Great Britain with a propaganda opportunity, as the disaster helped to shift America’s opinion against Germany, and it is therefore believed to have played a significant role in the country’s eventual Declaration of War in 1917. On 31st August 1941, just one month after the break out of World War I, thousands of Merseyside men did not shy away in the face of war. Instead, they took to St George’s Plateau to sign up to fight for King and country, as you can see in the above photo. The volunteers included a mixture of men, from accountants to gas fitters, and by 10am that day 1,000 men had already been recruited. By September 1914, a total of 30,000 men had enlisted at St George’s Hall. On 1st September 1939, Prime Minister Chamberlain viewed war with Germany as inevitable, and his first act was to protect the nation’s women and children, so evacuation occurred just days before World War II was declared in Great Britain. The Liverpool Corporation organised for school children, pregnant women, young mother mothers with babies and disabled adults to be evacuated. Many children from Liverpool moved to North Wales or Cheshire, which was much safer than the city, while others were evacuated by ship to Canada, New Zealand, Australia and South Africa, with many never returning home. Parents undoubtedly found it painful to evacuate their children to another country, but did so as it was believed to be one of the best ways to keep them safe from the brutality of war. The UK was surprisingly not attacked immediately during the first few months of war, and this time period was coined “the Phoney War”. Many children therefore returned to Liverpool; however, the Liverpool Blitz soon began in 1940, as France had fallen to Nazi Germany. 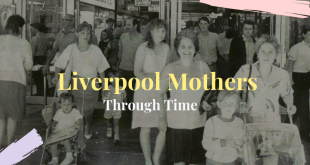 Many parents were, understandably, afraid to leave their children, so chose for them to remain in Liverpool. Different children had different emotions to the evacuation. Some were afraid to leave their parents and home-town, while others viewed it as an adventure. Liverpool was integral to Great Britain’s victory during the Second World War. In February 1941, the headquarters of the Western Approaches Command was transferred from Plymouth to Liverpool by the Admiralty, as the city offered closer contact and improved control of all Atlantic convoys. The bomb-proof bunker provided a centre of control and protection for all convoys flowing into Liverpool during the Battle of the Atlantic, and Fred O’Brien, the founder of the Western Approaches Museum described the bunker “as important as the Magna Carta”, whilst Winston Churchill went on to state that “The Battle of the Atlantic was the dominating factor all through the war”. The above image shows Winston Churchill visiting the city of Liverpool on 25th April 1941, just a few days prior to the Liverpool Blitz 1941. During WWII, Liverpool was the most heavily bombed area of the UK, outside of London. The city was undeniably integral to the country’s war effort, offering the largest port on the west coast of England and protecting convoys during the Battle of the Atlantic. Germany consequently viewed Liverpool as a threat, and so the German Luftwaffe dropped a tirade of bombs, resulting in 4,000 deaths across Merseyside and causing significant damage across the city. Before The Beatles shook the world, the band was known as The Quarrymen and first played at The Cavern Club on 21st February 1957. Despite playing at various venues across the city, it was at The Cavern Club where they built up their following, resulting in them making a total of 292 appearances between 1961 to 1963. One month after playing their last gig at The Cavern Club, the Fab Four recorded “She Loves You” – and just six months later they made their first trip to the United States of America. We don’t have to tell you what happened to The Beatles once they made their way to America, but we will anyway. The band completely dominated the music scene, offering a sound the world had never heard before. Girls across the world fell in love with John, Paul, George and, maybe, Ringo, whilst boys wanted to become the Fab Four. The above photo shows The Beatles at John F. Kennedy Airport, New York, on 7th February 1964. The band had officially changed music forever – and placed Liverpool well and truly on the map! Bill Shankly is the personification of passion and determination. The legendary manager pulled Liverpool FC up from a Division Two club to Premier League champions. However, even faced with adversity, he stood strong to prove what a remarkable man and manager he really was. On 9th May 1971, Bill Shankly stood on St George’s Hall plateau in front of thousand adoring fans, with an upbeat and defiant attitude, which made the people of Liverpool fall in love with him even more. The manager stated the best was yet to come for the club, and he was proven right. What makes the moment so historic is the fact that so many Liverpudlians turned out to support their club in the face of defeat – proving just how loyal Liverpudlians really are. The Grand National is one of the most historic horse races in the world, and while Aintree Racecourse has welcomed countless horses over the years, it is Red Rum that has stood out from the steed. The champion thoroughbred steeplechaser won the Grand National three times, and came second in the two intervening years. It was, however, in 1973 that Red Rum secured a place in sporting history, recording his third Grand National triumph – which is now regarded as one of the most greatest moments in horse racing history, and the above photograph captured the moment in style. During the early 1980s, the Merseyside Police force had built up a poor reputation within the black community, stopping and searching black men on the spot across the city, resulting in long-standing tensions between the public and police. On 3rd July 1981, the police intercepted a motorcyclist along Selbourne Street, which resulted in a crowd gathering to witness the event. However, names were soon thrown between the police and public, and within minutes a fight erupted, resulting in the injury of three police officers and the reported heavy-handed arrest of Leroy Cooper. That night and the next evening, the police mounted extra patrols across the Toxteth area, but they came under attack from the angry crowd who were armed with petrol bombs and bricks. The event led to nine days of riots, resulting in hundreds of injured police and public. During the Toxteth Riots, one man lost his life, 500 people were arrested and 70 buildings were destroyed, with the cost of the damage reaching £11 million. Whether you are a red or a blue, it was not hard to be proud of both Liverpool FC and Everton FC back in 1986. Following a 1-1 draw at the 1986 FA Charity Shield, Liverpool and Everton graciously shared the FA Charity Shield, which was the first trophy ever awarded to both clubs. It was a moment that allowed the whole city to be united in victory, with each club holding the shield for six months each. Victory came in the form of the FA Cup Final for Everton FC, who won the trophy for the fifth time on 20th May 1995 against Manchester United at Wembley Stadium. Battling tough competition from the opposition, Paul Rideout headed the goal, whilst goalkeeper Neville Southall helped the club maintain a clean sheet for the remainder of the game. It was a moment that would live in the hearts and minds of every EFC fan, sitting alongside their other major honours, including winning the League Championship an incredible nine times. Ten years on and Liverpool FC would also make Merseyside history by winning the 2005 UEFA Champions League Final. The unpredictable club appeared in their sixth Champions League Final at the Ataturk Stadium in Istanbul, Turkey, on 25th May 2005. The first half didn’t get off to the best start for the club, with AC Milan up by three goals by half time. However, by the second half, new life was breathed into the club when captain Steven Gerrard scored for the club, resulting in the team equalising come full-time. Following extra time, the teams were forced to battle it out with penalties, with LFC winning the shootout by 3-2. No-one could have imagined the devastation that would take place at Hillsborough Stadium, Sheffield, on 15th April 1989. During the 1988-89 FA Cup semi-final between Liverpool FC and Nottingham Forest, 96 innocent people lost their lives due to overcrowding at the ground, while another 766 people were injured. The tragic day, undoubtedly, triggered emotion across Liverpool, and the rest of the world, with the victims’ family and friends, as well as the whole of the city, fighting hard to find out exactly what happened that day and to ensure justice is rightfully served. The above photograph shows the scarves donated by fans, which were placed on empty seats during the memorial service to mark the 25th anniversary of the Hillsborough disaster. Who could possibly forget the moment the Three Queens sailed into town to celebrate the 175th anniversary of the Cunard Line, and were part of the seven week One Magnificent programme of events. Visiting Liverpool between 24th to 26th May 2015, the three famous cruise liners were greeted by thousands of people waiting to catch a glimpse of the beautiful ships, who were also part of the Mersey River Festival. Of course, the above cannot possibly depict the many fantastic and tragic moments Liverpool has experienced over the years. We therefore invite you to share other historic moments captured on film that you believe are worth a mention. Simply leave your answer in the comments section below. Also, if you have other historic photos or videos that you think we would love to see, feel free to contact Signature’s Liverpool today to share your images. If you would like to learn more about Liverpool’s intriguing history, we encourage you to read about the 10 Irish pioneers who shaped Liverpool. Elisabeth loves writing about Liverpool, showcasing the best attractions, events and experiences in our beautiful city. Best city in the world. Arrive a stranger and leave as a friend.